Hi, y'all! 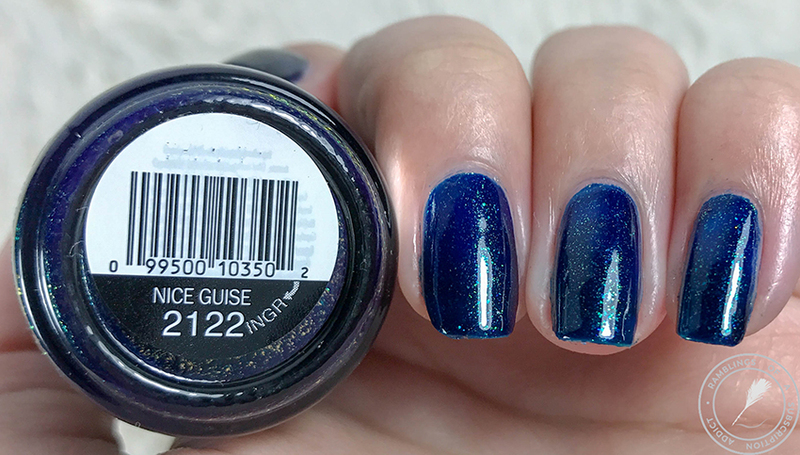 I'm back with another Sinful Colors polish! 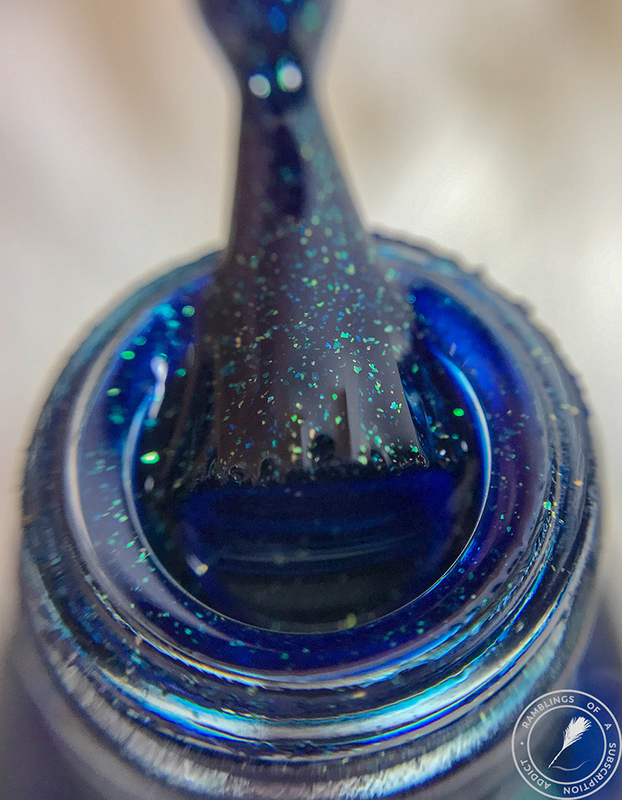 I love going to Walgreen's or other stores and seeing what new polishes they have (note: they rarely do and I end up looking for new polishes and drugstore makeup in general in other cities when I'm out). 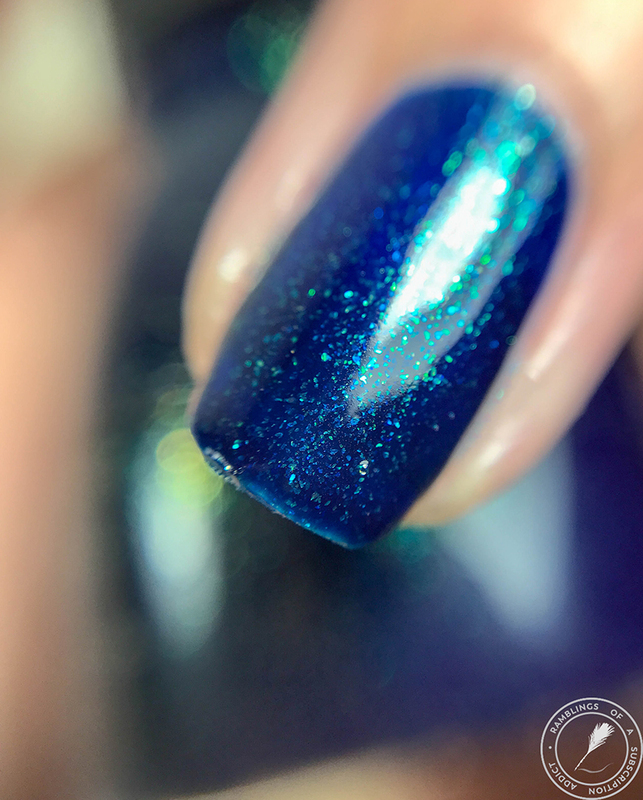 This polish is listed as no longer available so it might be more difficult to find in stores. 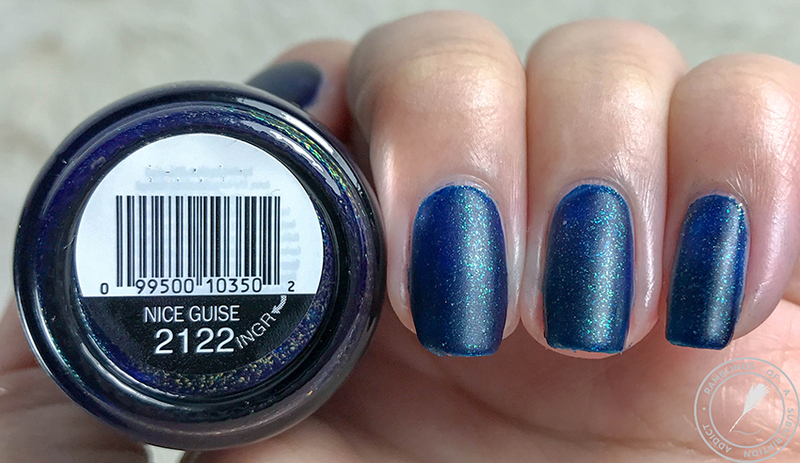 Nice Guise is a shimmering green and gold iridescent shade. 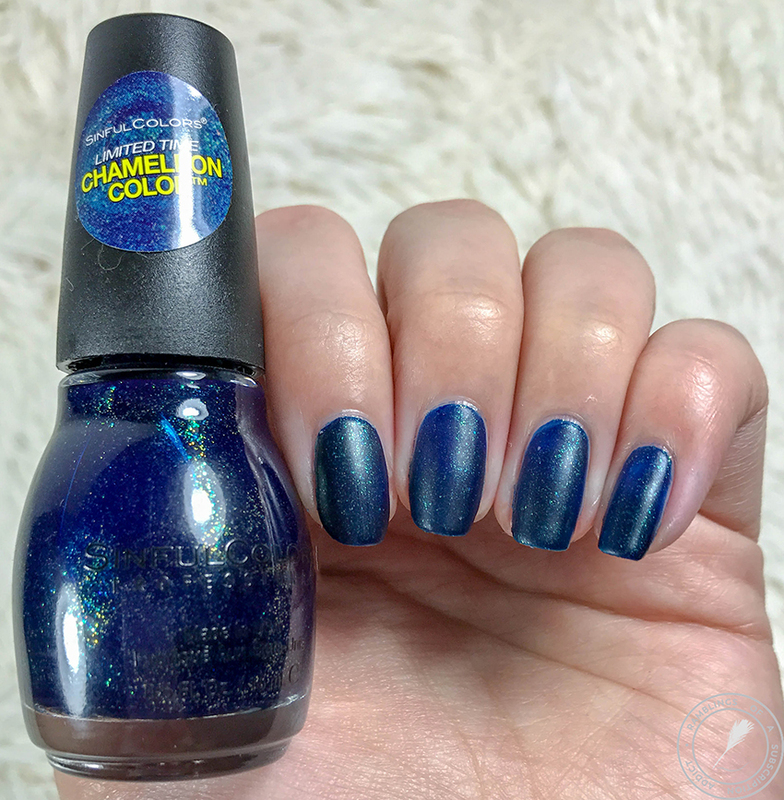 This is described as a green but I'm getting more blue vibes from this polish. 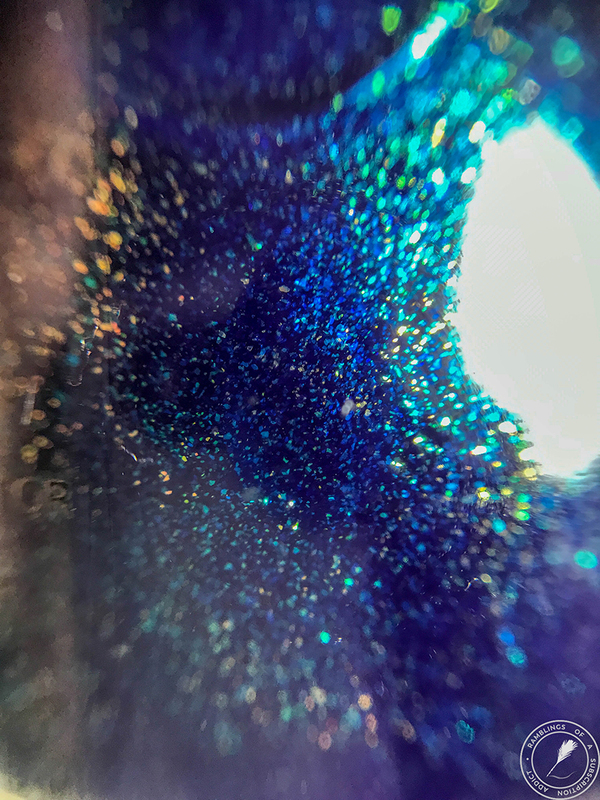 It's gorgeous, though, and the iridescent shimmer is stunning! I love the gold bouncing off of the deeper base. This is almost a jelly-like finish, which is so cool! 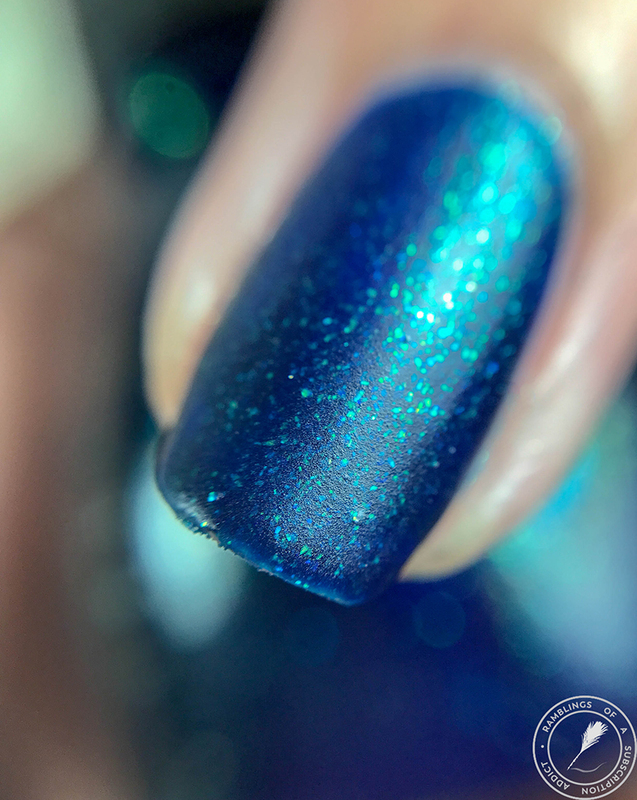 I love seeing mainstream polishes that don't stick to the old-school norms of mainstream brands. I still like the polish with a matte top coat. The gold comes out more, that's for sure!